Celtic supporters tore into Shay Logan as the Aberdeen defender picked up another runners-up medal at Hampden. The full-back has a long history of trying to make himself relevant including a claim that he was racially abused by supporter during the dead-rubber fixture between the top two clubs in May. After none successive defeats- including two cup final losses at Hampden- Logan milked the 1-0 win at Celtic Park to death. Another loser’s medal for Shay Logan today. Another loser’s medal for Shay Logan. At the final whistle he was shouting in the face of Mikael Lustig and sarcastically clapping the Celtic support before earning a red card from Craig Thomson. 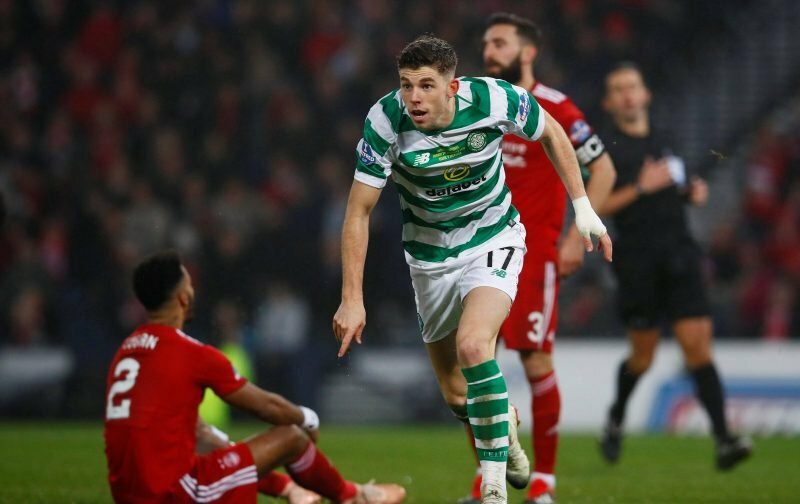 In the build up to Sunday’s Hampden clash Logan had been boasting about how his Dons team-mates had bigger hearts than Celtic but that didn’t count for much as he lay on the ground watching Ryan Christie’s shot hit the roof of the net- ensuring another runners-up medal for his collection.